Outspoken hip-hop star Azealia Banks has hit out at Cardi B, saying she is a ''poor man's Nicki Minaj''. Azealia Banks thinks Cardi B is a ''poor man's Nicki Minaj''. The outspoken musician has slammed the hip-hop star after she recently sealed her first-ever US number one with her track 'Bodak Yellow', which displaced Taylor Swift at the top of the charts. Responding to Cardi's success, Azealia wrote in a series of now-deleted tweets: ''I'm sorry. Black industry men are too hype for this Latina girl I've never seen them jump like this for Remy [Ma] or Nicki [Minaj]. 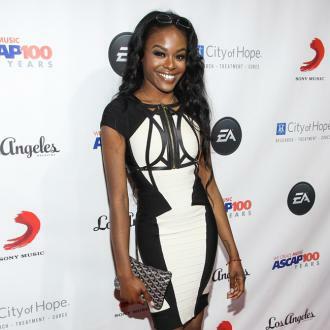 Azealia, 26, subsequently wrote that Cardi - who is of Trinidadian and Dominican descent - was ''only black when black want to include themselves in a success story''. By contrast, Azealia recently admitted she feels ''incredibly flattered'' to have duetted with Iggy Azalea after years of feuding. The '212' rapper responded to fans after the 'Fancy' hitmaker revealed the pair were collaborating on a track. Azealia wrote on Instagram: ''Please let me clear up any misconception for anyone that took my words out of context: I am incredibly flattered and so excited about a future collaboration with Iggy. ''Yes, she and I had our differences in the past, but we were so young and that was so long ago. She and I are both on a whole other level right now, and I have nothing but respect for her as a woman, an artist and a businesswoman. As such, I'm thrilled for the opportunity to work with her, or any other artist out there because I truly believe that united, we are stronger.